Microgaming company is without a doubt one of the most successful online gambling software developers of our time. That is why any news coming from it attract a lot of attention. And now it has announced that the gamblers will soon have the chance to play their favorite Thunderstruck II slots game on the HTML5 platform. 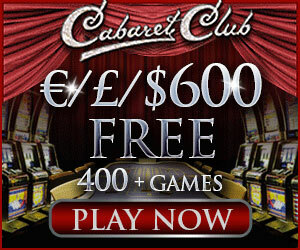 This is not going to be just another addition to over a thousand titles Microgaming has at the moment, but a true gift for those who like this great slot. So apparently the fans of this game will be able to enjoy it on any platform available nowadays. When the game first appeared in year 2010 it was only for the Flash and download platforms. But as popularity of Thunderstruck II was growing steadily, Microgaming has launched its versions for Quickfire platform, multi-player platform and even for land-based platform BetStone. In February of year 2013 the mobile version of the game developed specially for Android devices was launched. And now with the HTML5 versions the player can truly enjoy the game on any platform. The action of Thunderstruck II is taking place in the mythical world of Asgard and since the graphics of the game is so sharp, the characters are very well developed and the animations are just superb it becomes clear why players choose it from so many others. Plus, this 5-reel game with 234 ways to win gives countless opportunities to win with all the scatters, wilds, multipliers and spin bonuses available. The Head of Product channels of Microgaming Neill Whyte said that since the Thunderstruck II is one of the company’s most successful games it was only the matter of time when the versions for all the platforms would appear. And finally now the players who prefer playing on HTML5 platform will be able to do it. So Microgaming has taken another step forward to the players as they realize the importance of developing games with cross-platform capability at the company.